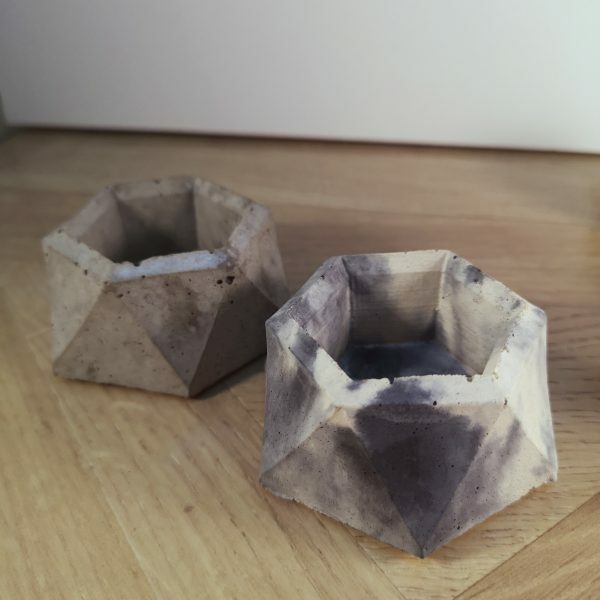 These mini concrete pots are super cute. They can be used for a succulent or cactus, or as a ringholder, key dish, trinket tray, or keep paperclips in it on your desk. They come marbled in black and white, or plain grey. Each pot is finished with a gloss sealer and a cork base to protect your surfaces. Approximate dimensions: 7cm diameter, height 5cm. 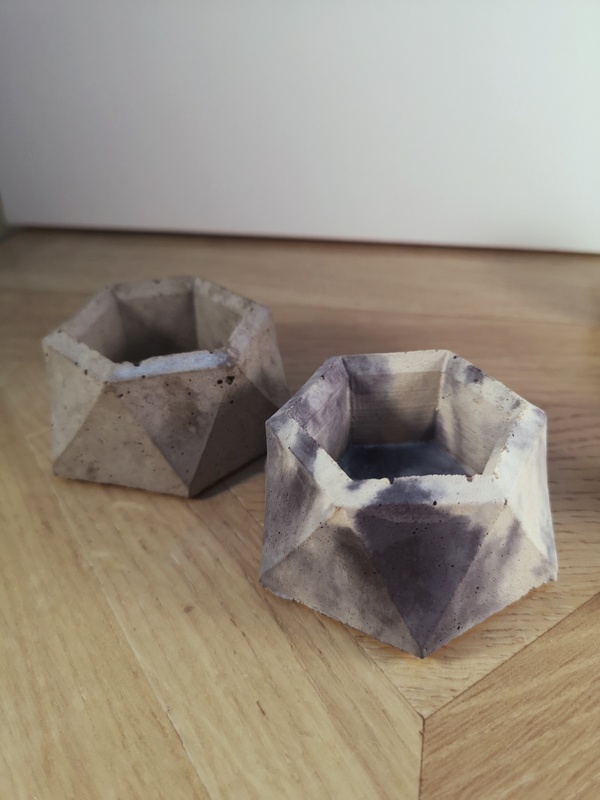 Concrete is an extremely strong material, however it will shatter if dropped on a hard surface, and corners can be chipped if care is not taken. Due to the nature of concrete, each item is unique. Colours may vary slightly and air bubbles are entirely natural. This makes it very tactile and nice to handle. Your product will be lovingly gift wrapped in tissue paper. Please contact me if you have any specific requirements, as I can usually accommodate custom orders.